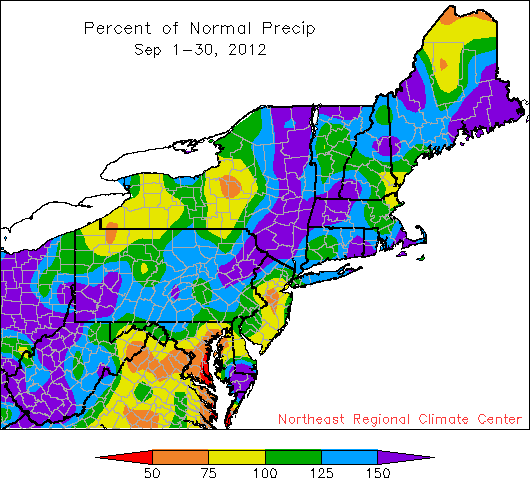 September precipitation ranged from less than 50% of normal to more than 150% of normal. 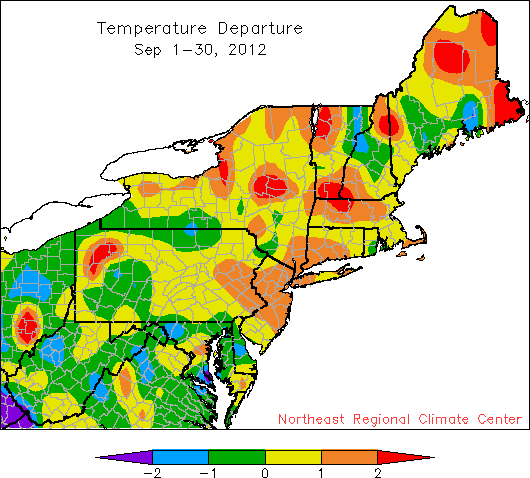 September averaged wetter than normal in most of the region, alleviating drought conditions in Massachusetts, New York, Delaware and Maryland. Temperatures averaged up to two degrees warmer than normal in most of the northern states and a degree or two below normal in West Virginia, Maryland and Delaware. There were a few severe weather events during the month including five confirmed tornadoes - one in Delaware, two in the New York City metro area, and two in southwestern Pennsylvania.